'Create a website that helps US General Election voters find their nearest polling station' was the goal set by the Google Elections team. 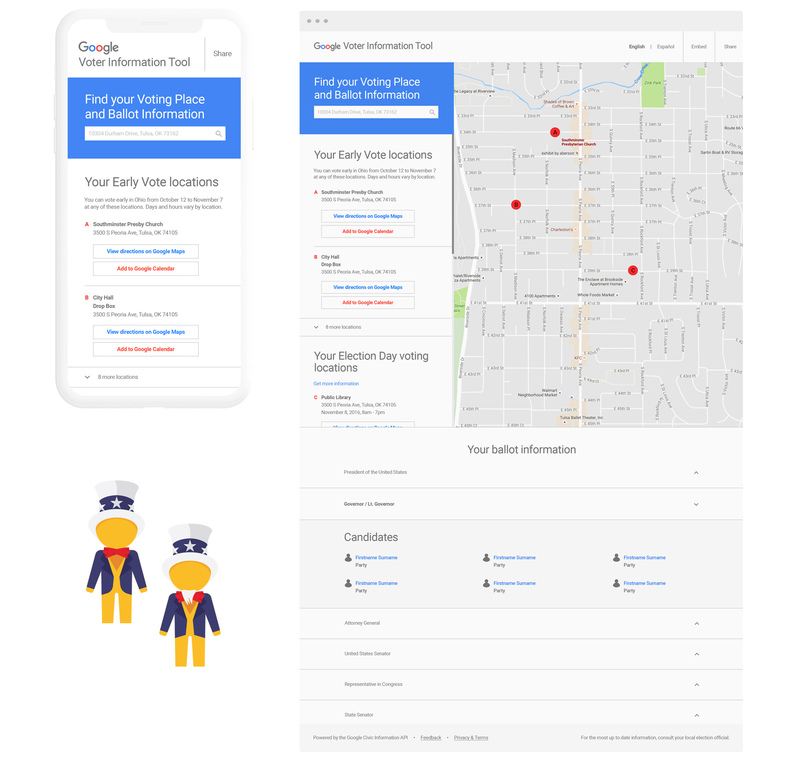 So we created the Voter Information Tool, a site that enabled them to do just that whatever their device, location or connection. 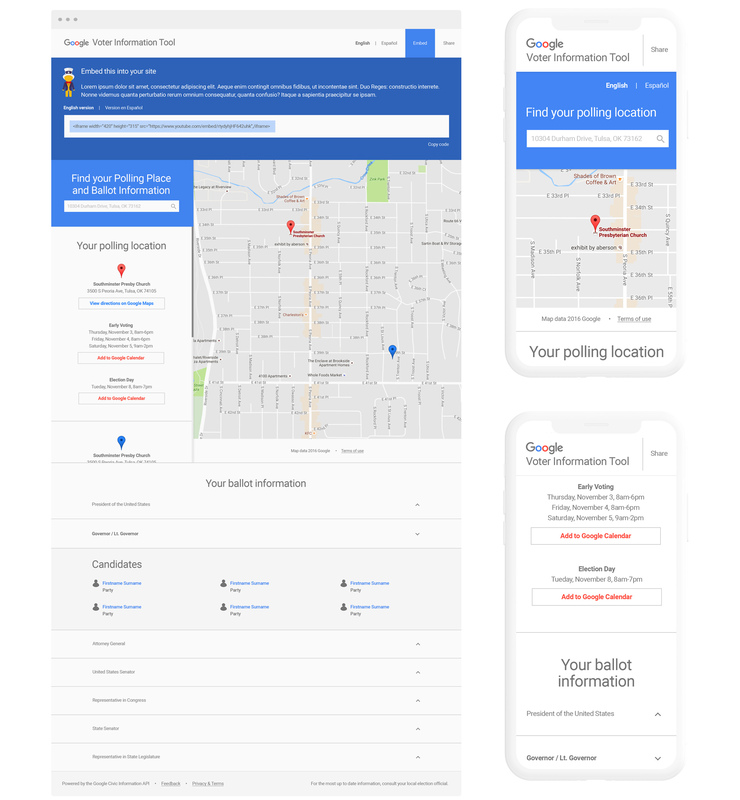 Working alongside Beutler Ink, the widget allowed the user to search their full address and using the Google Maps API and Google Civic Information API displayed their nearest polling stations, directions to get there and all of the candidate information for that area too. An intuitive user interface, with a simple modular structure for presenting the search results, delivered the perfect user experience. The design allowed ease of use across all screen sizes and any network speed, to ensure however remote the user's location and however poor their connection, they could always connect and find their nearest station. The tool played a huge part in voters getting to out to vote on election day – traffic reached 15 million daily visits in the weeks leading up to election day.